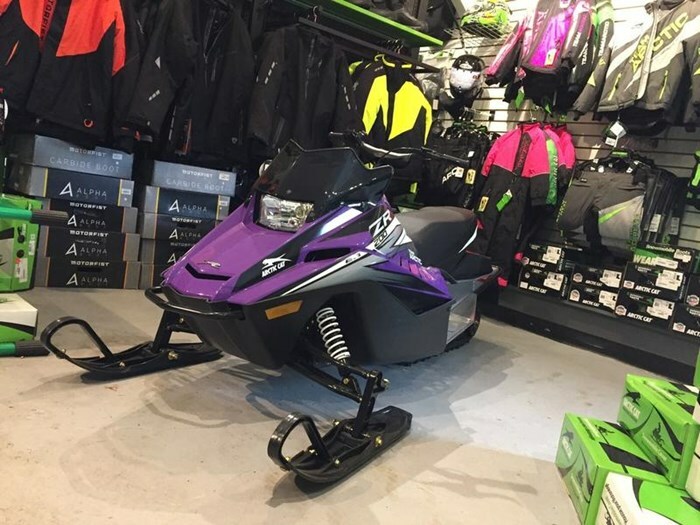 2019 ARCTIC CAT ZR 200 - ONLY $4,099 PLUS FREIGHT, PDI, TAX AND LICENSING - BI-WEEKLY PAYMENT OF $57.00 FOR 48 MONTHS - ONE YEAR WARRANTY - AWESOME STARTER SLED - FOR MORE INFORMATION PLEASE CALL CHARLIE OR LORNE AT 519-268-8429 - FOR MORE GREAT DEALS ON PARTS,ACCESSORIES AND UNITS PLEASE VISIT US AT OUR WEBSITE - www.fasttrackperformance.ca 2019 Arctic Cat® ZR 200 ES Features may include: FIRE UP THE PASSION New for 2019 the ZR200 features electric start and a tether switch. 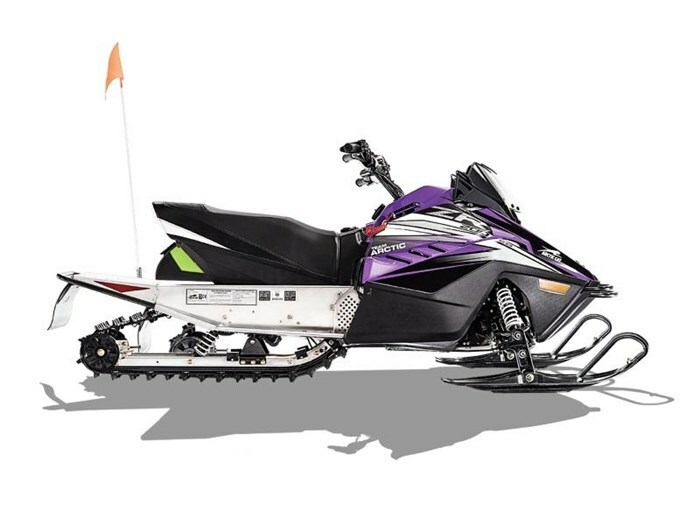 It’s as easy as turning the key to fire it up, and if the rider ever gets separated from the snowmobile the tether switch will shut off the engine. HALOGEN HEADLIGHT The headlight on the ZR 200 offers a low beam and high beam. Go from seeing down the trail to seeing way down the trail with a flick of a switch. 200 4-STROKE ENGINE This 192cc, fan-cooled, 4-Stroke engine puts out 9 HP of memories. The power your little rider wants and the reliability you need to keep them riding. ARCTIC 200 DRIVE SYSTEM The Arctic 200 drive system gives you the performance traits of any of our full-size snowmobiles. With a fully-functional primary and secondary clutch, you will not only feel that top end, but also the low and mid-range this machine offers. HEATED HAND GRIPS Say goodbye to cold hands. Our hand warmers provide plenty of warmth for your little racer. YOUTH FRONT SUSPENSION Just like mom and dad’s ZR, our little version includes a fully operational front (as well as rear) suspension system. YOUTH REAR SUSPENSION For optimized rider control, our youth machine includes a fully operational rear (as well as front) suspension system. HAYES BRAKES When it comes to brakes, Hayes knows how to keep the fun going. With a hydraulic brake grabbing a disc on the driveshaft, you can focus more on the going versus stopping. FULLY FUNCTIONAL DASH It’s like sitting in a cockpit of an F14 fighter jet. Ok, maybe not, but you do have everything you need right at your fingertips. High and low headlight switch, hand warmer switch, ignition key and choke. LED TAILLIGHT Like the ZR 200 itself, this LED taillight is smaller but still packs a big punch. The taillights bring out the visibility on the trail and let people behind you know when you are stopping. 93-IN. COBRA TRACK WITH 1-IN. LUGS Featuring a cupped lug design for superior handling, acceleration and braking on soft, loose trails. Want more? This track has got it. Its traction teeth give you extra grip on hard-packed surfaces, while its 1-in. paddles provide traction on or off the trail.